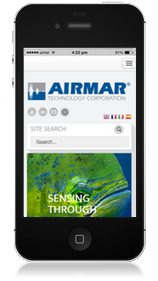 A dedicated mobile site can increase business and calls by making the mobile experience quick, easy and intuitive. As a website design and development company we understand that a dedicated mobile site can increase business and calls by simply making the mobile experience quick, easy and intuitive. Mobile devices are increasingly being used as a primary device to view web content, flash content, and social media content. Add advances in mobile networks and you can easily understand the need for advanced mobile website development. When A4DM, as a website design and development company, does mobile website development we follow guidelines set by the World Wide Web Consortium (W3C). Every design aspect of your site must be tested for online and offline environments. Our dedicated and knowledgeable team takes into account the wide variety of screen sizes and devices your content will be viewed on. We build content that can be downloaded easily and quickly, even in areas with low bandwidth. In our dedication to good mobile website development, we even look to provide your users with easy-to-use back and forward buttons. When a mobile site is quick, easy and intuitive, it gets used and re-used. A4DM utilizes a data driven approach to implement changes that increase your web presence, and an analytical approach to shift efforts and techniques to make an impact where you need it most. We work side by side with you to ensure all marketing efforts are aligned, resulting in positive returns on investments. Contact the experts at A4DM for the best services you can get.